Oprah Winfrey and Steven Spielberg reunited to produce "The Hundred-Foot Journey," based on the bestselling novel by Richard C. Morais. 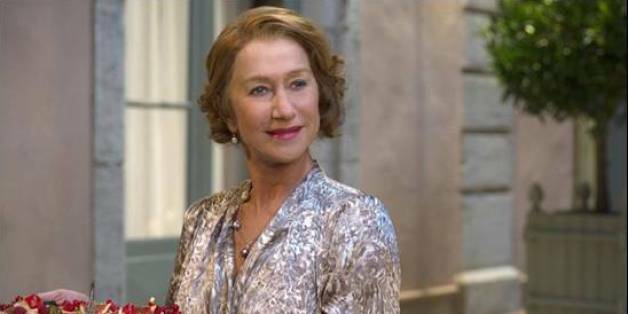 Starring Dame Helen Mirren and Manish Dayal, "The Hundred-Foot Journey" follows a displaced Indian family that settles in a small village in the south of France. They plan to open an Indian restaurant and in the process, start a rivalry with Madame Mallory's (Miren) Michelin-starred restaurant down the street. Winfrey chose the book as a "favorite summer read" in 2010. "It’s about human beings coming to understand other human beings and more importantly, after you get to experience or step into somebody else’s shoes or see them for a real human being, how you understand that you’re really more alike than you are different," she said at the time. It also doesn't hurt that all the food scenes will leave you famished. The trailer, released on Yahoo Movies, gives a taste of the developing friendship between Mallory and Hassan (Dayal), the young chef at the center of the Indian family. "The Hundred-Foot Journey" is due out on Aug. 8. The last film Winfrey worked on with Spielberg was "The Color Purple" in 1985. The Best Picture nominee scored Winfrey her lone Oscar nomination.